Protect your phone and enhance your mobile photography with the SNAP! 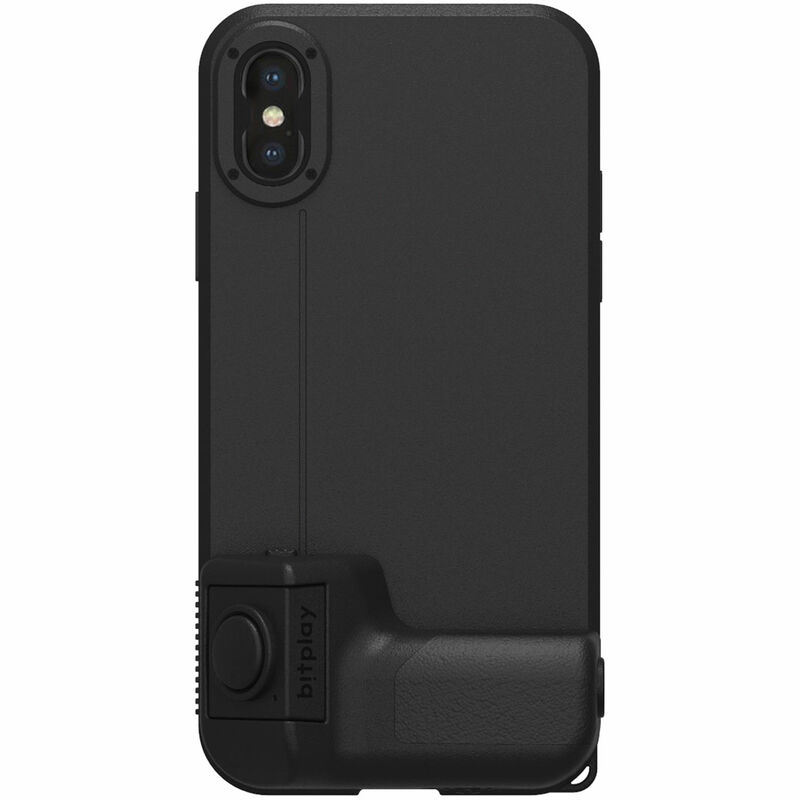 Case for Apple iPhone XS from bitplay. The SNAP! Case offers your iPhone XS complete edge-to-edge protection. The soft TPU (Thermoplastic Polyurethane) inner layer gives your phone shock protection, while the hard, polycarbonate outer shell helps to deliver impact and scratch resistance. A streamlined grip on the back of the case is designed to assist with your mobile photography, and can be replaced with bitplay's (optional) Bluetooth grip for additional functionality. A flat, streamlined grip is attached to the back of the case via a screw and is meant to give you a better handle on your phone when taking pictures or shooting video. The streamlined grip on the SNAP! Case can be removed to accommodate the (optional) Bluetooth SNAP! Grip, which provides a more DSLR-like handle on your phone during shooting. What's more, the case's cutout for the iPhone XS's camera is compatible with bitplay's lens attachments. You can select from a wide array of options such as a wide-angle lens, macro lens, and more. The SNAP! Case is easy on your pockets with a 0.6" thickness and 1.2 oz of overall weight.